Here are some great new images, 34 in all, that I'm sure everyone will enjoy. 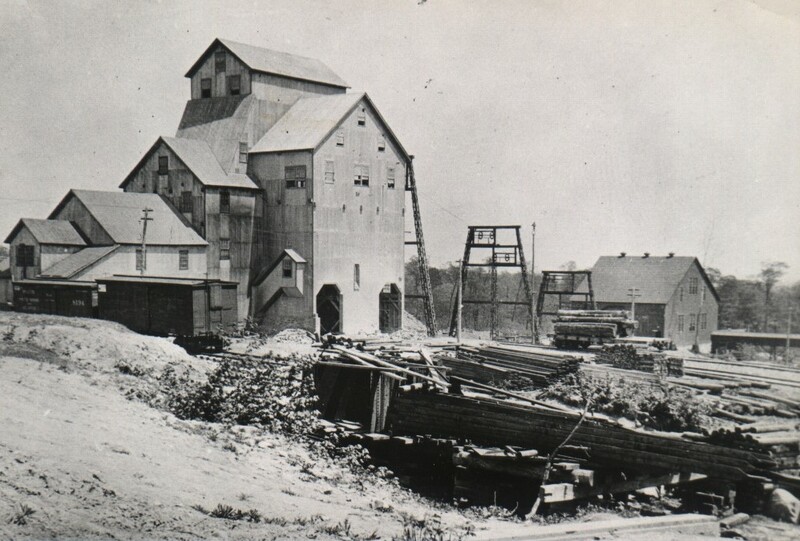 From various points around the Copper Country, they are another wonderful selection showing the depth and richness of photographical history that can be found for this little corner of Michigan. 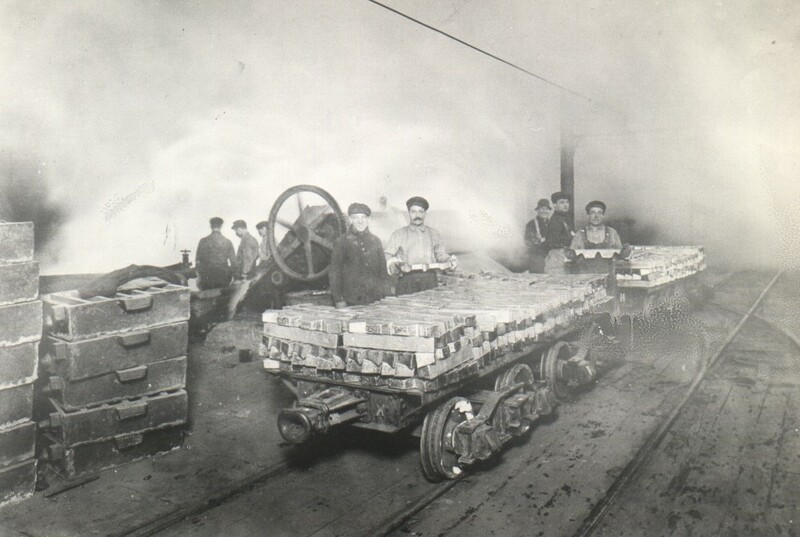 The photo above dates to around 1900-15, and shows a crew probably before their work day began. 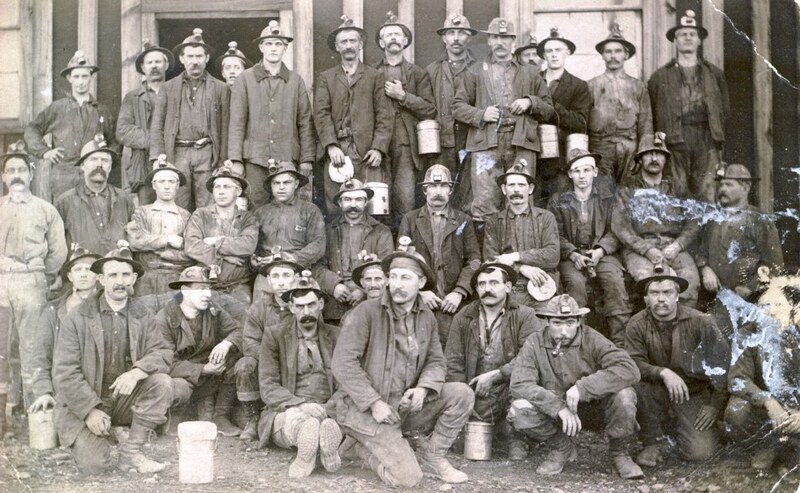 Notice the head covering seen on several of the men, and also resting on the lunch pail in the left front foreground. I've never noticed this before, but it appears to be a white, cotton (?) 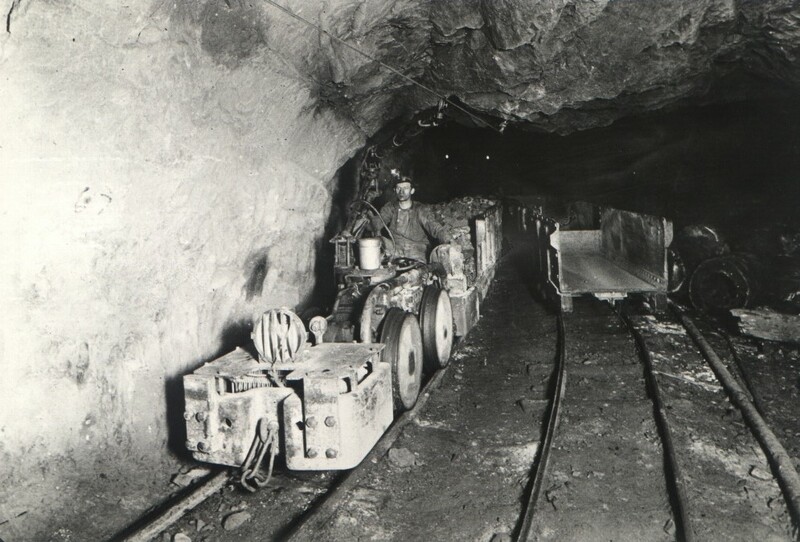 skull cap worn under the main mining helmet. 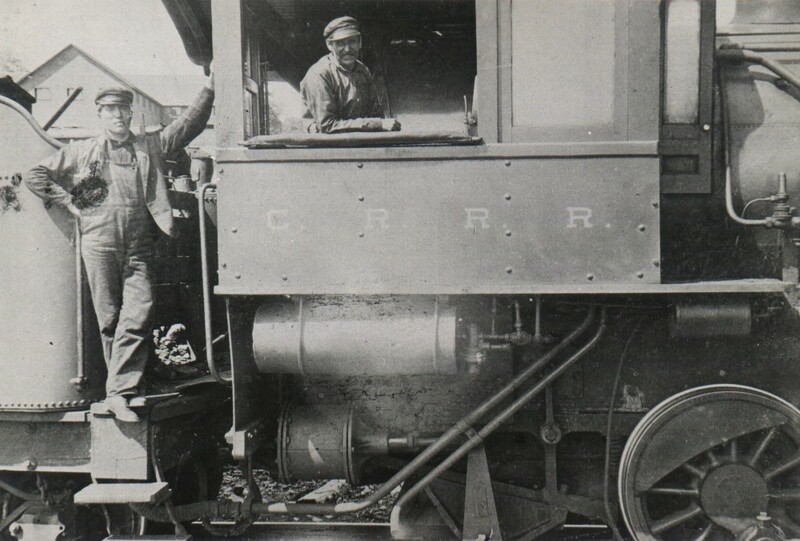 Keep in mind the main helmet wasn't really for safety, but rather a place to hold and support the carbide lamp. You can see these white caps on many of the men, and it was probably a way to keep the head comfortable and perhaps clean. 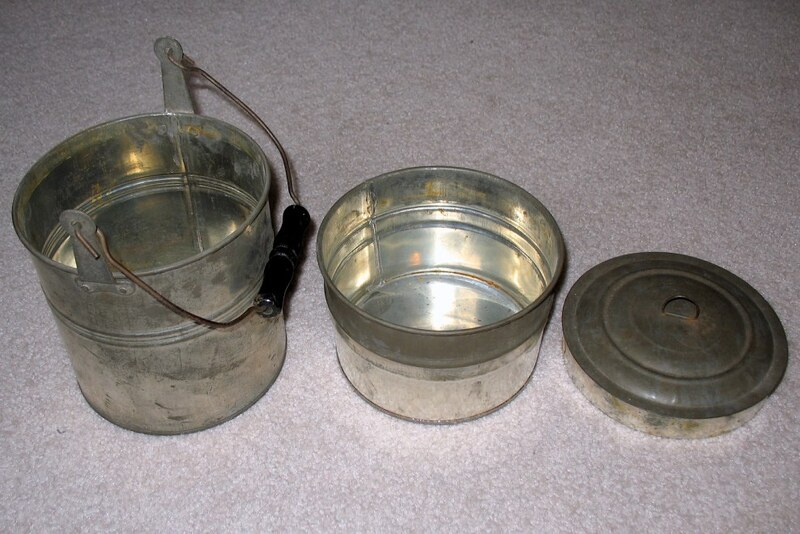 Below is a typical lunch pail, almost identical to some above, that shows the basics of the design. The large bottom section held a smaller middle section, topped with a lid. Once section would hold food, the other drink. I assume beer and wine were possible too. But when your work day lasted a minimum of 10 hours, and you burned thousands of calories moving rock, lumber or equipment, I can only assume the pails were stuffed full of high-caloric, fatty foods and drink. Probably explains why lard was one of the main ingredients in the trusty pasty. 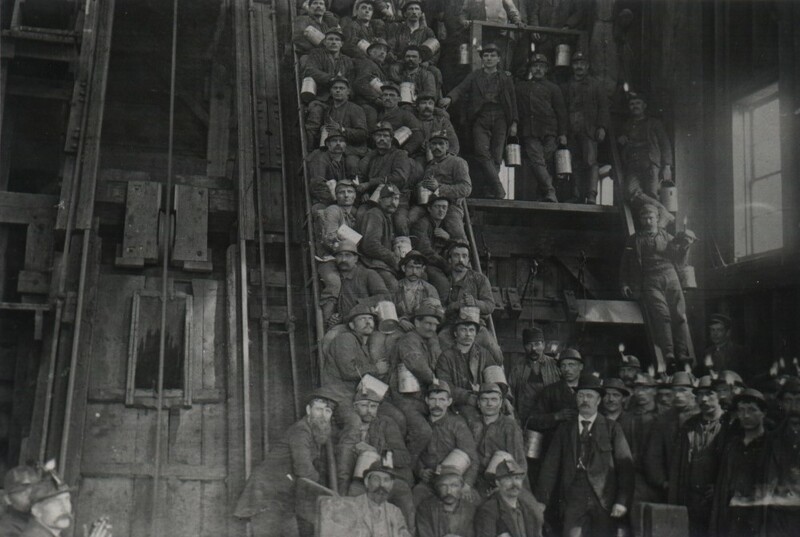 Here are 2 new images from the 1913-14 miner's strike. 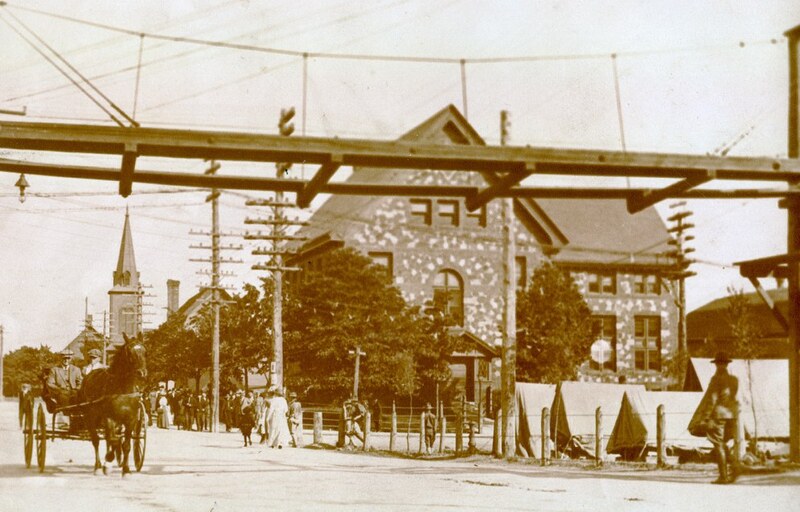 The above image, from the summer of 1913, shows the troops stationed across from the library on Red Jacket Road. 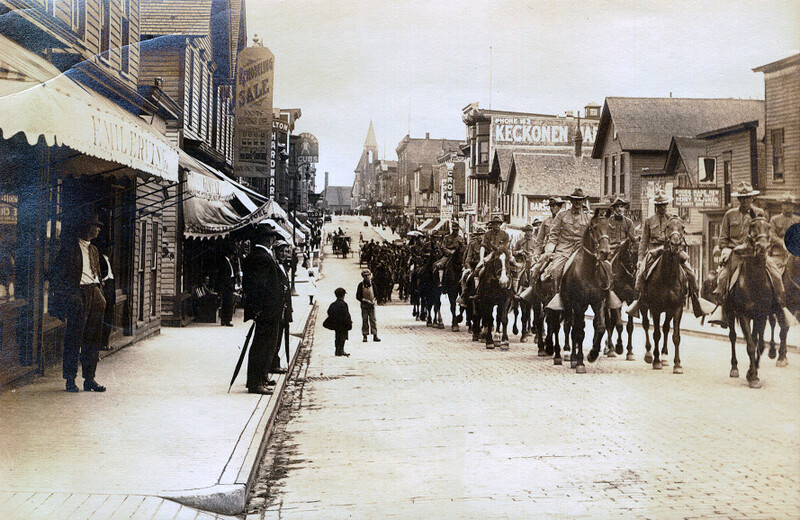 Below, from probably late summer, fall 1913, shows the National Guard on the north end of 5th street. 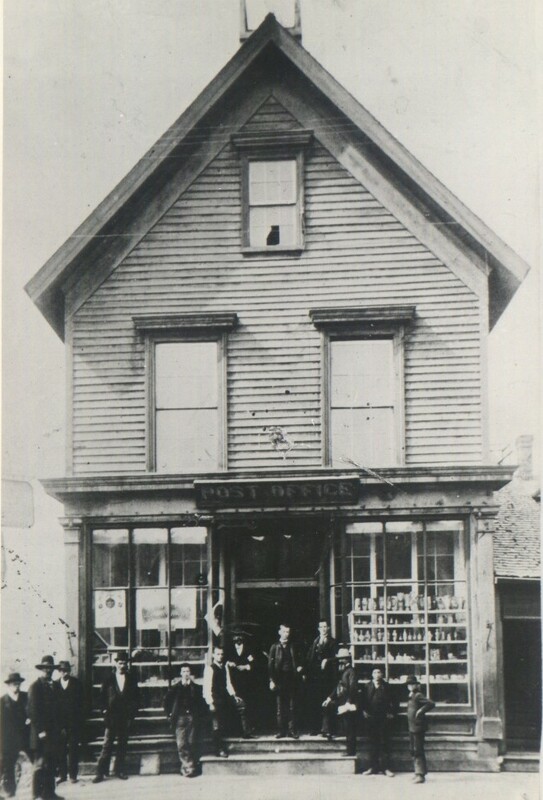 The image of the C&H office above is unique since you can see the original, smaller building the RH side, where the main portion of the office was later extended. Two new views of Oak street. 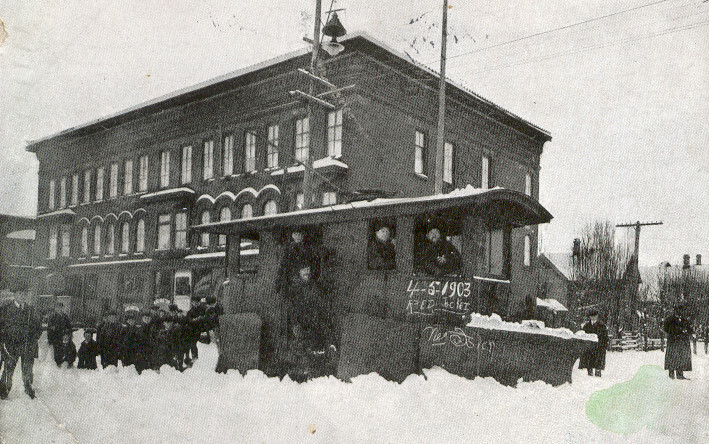 Above shows a snow plow cleaning off the street car tracks at the corner of Oak and 8th streets, with the Arlington Hotel in the back. 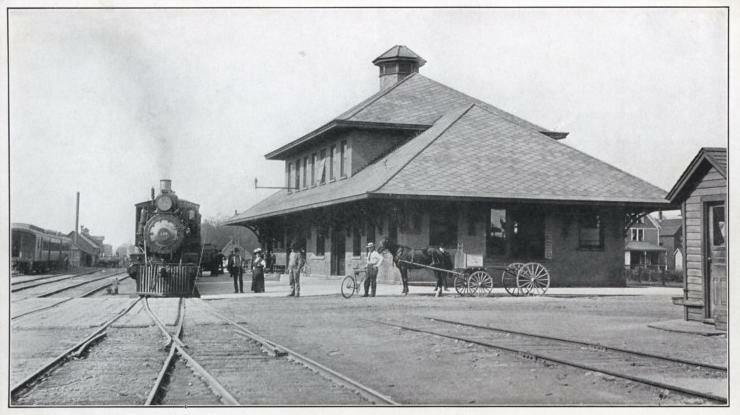 Below is a nice view of the Mineral Range Depot, with the horse and buggy on Oak. 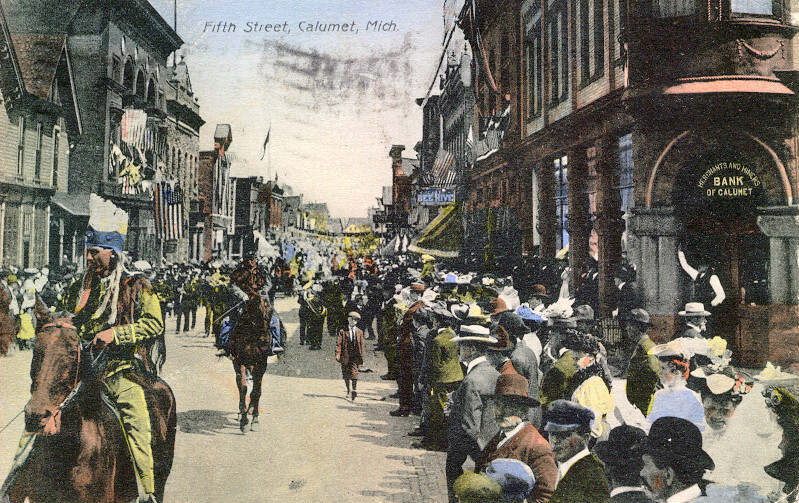 The postcard below is a great image showing a summertime parade, probably the 4th of July on 5th street looking north. 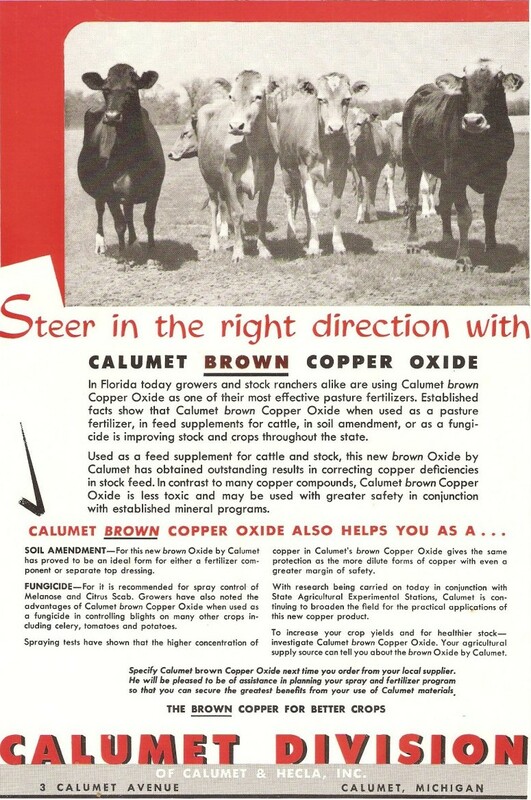 A more modern, late 40s - early 50s, interesting item showing some of the other business C&H was involved with for their mineral products. The following series of photos are all courtesy of Donna Flye from White Pine, MI. These photos are from her cousin Marty Britz and her dad Jerome Volkmann. Marty knew all the mines very well, he was very respected in the Houghton area and even spoke at Michigan Tech many times in the 70's and maybe early 80's. These images are from slides, probably transferred from the original negative sometime in the 40s I guess. They are absolutely wonderful, and I want to thank Donna again for sharing these! 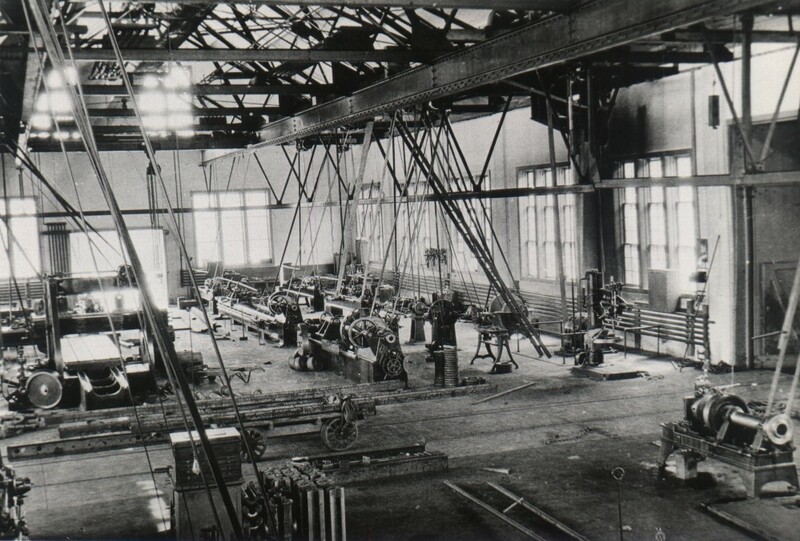 These 2 images show the interior of the Champion Mining Company blacksmith shop above, and the machine shop below. 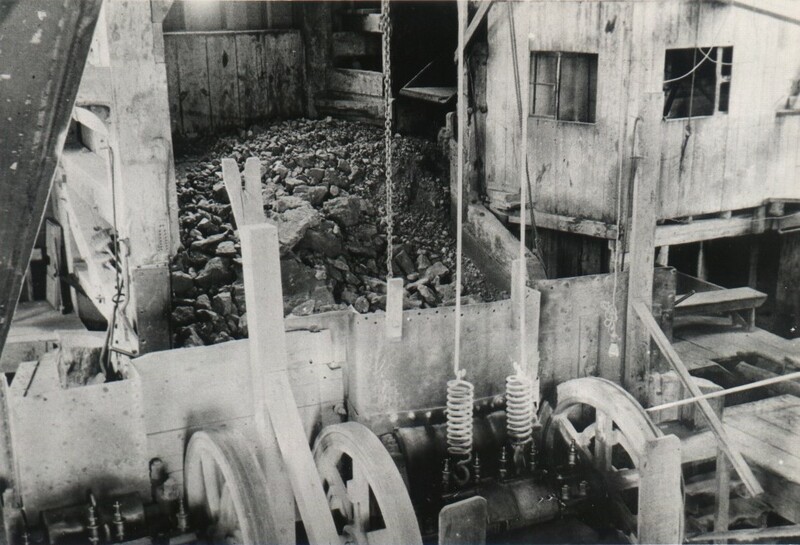 More views showing two different shafts of the Champion mine. 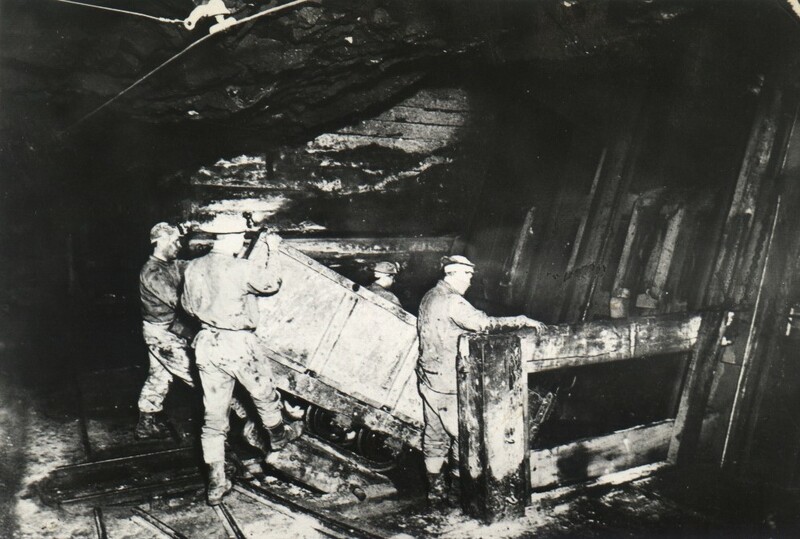 The image below shows surface workers cleaning and weighing mass copper at one of the Champion locations. 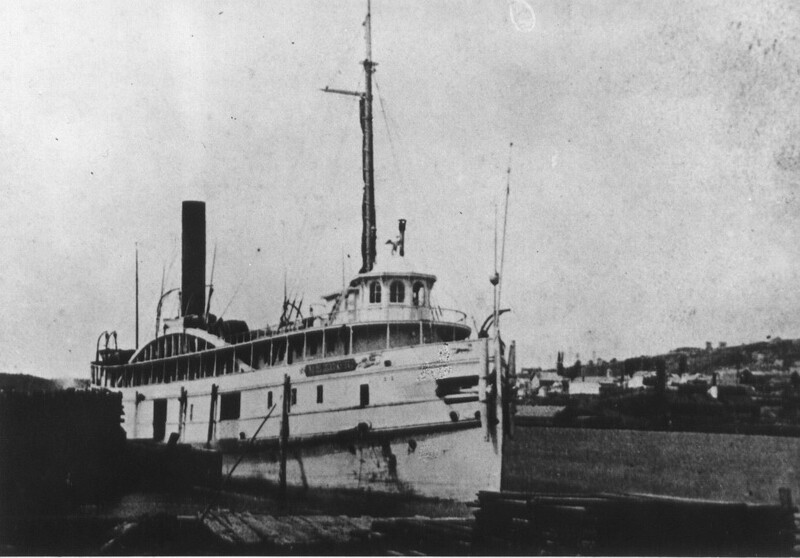 The Lake Superior passenger ship METEOR is seen above docked in the Portage canal, probably on the south side. 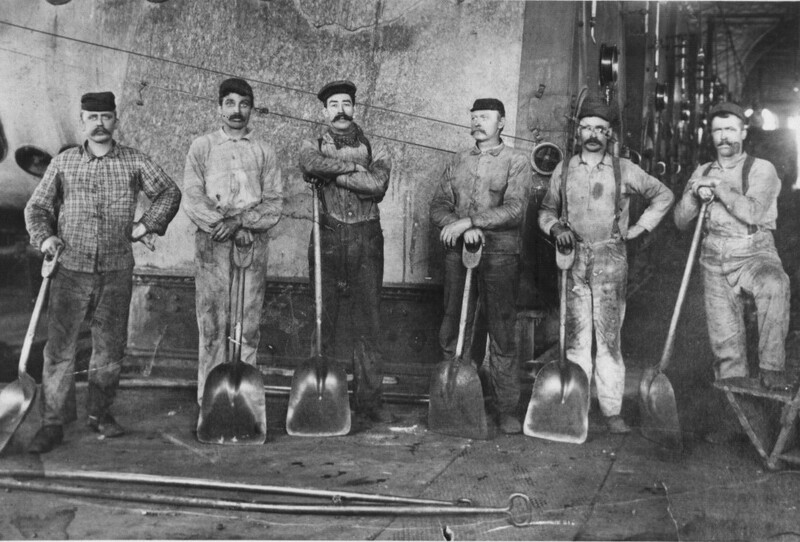 A great view of the team of men and their coal shovels standing near a bank of boilers for one the mines. 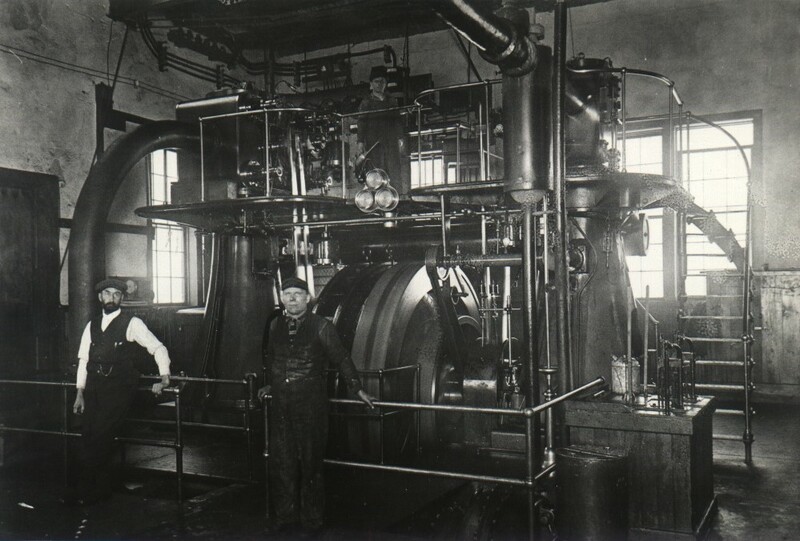 The boilers probably powered the giant steam hoists used to hoist rock and miners to and from underground. 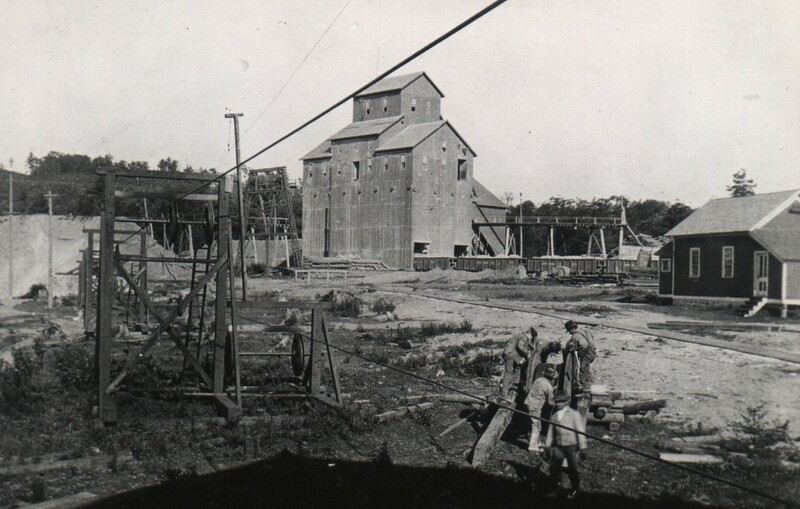 I'm guessing the above photo shows a group of students from the Michigan College of Mining. 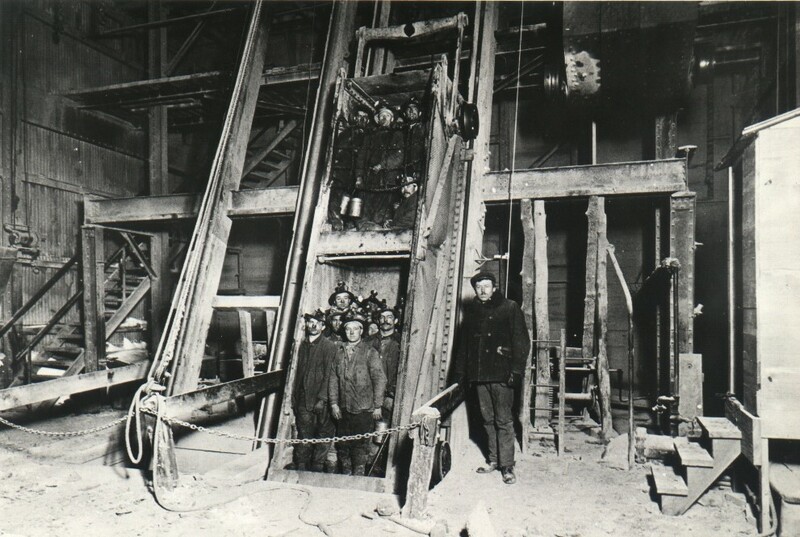 The above shows the interior of the rock house for the Calumet & Hecla #5 and #6 shaft. 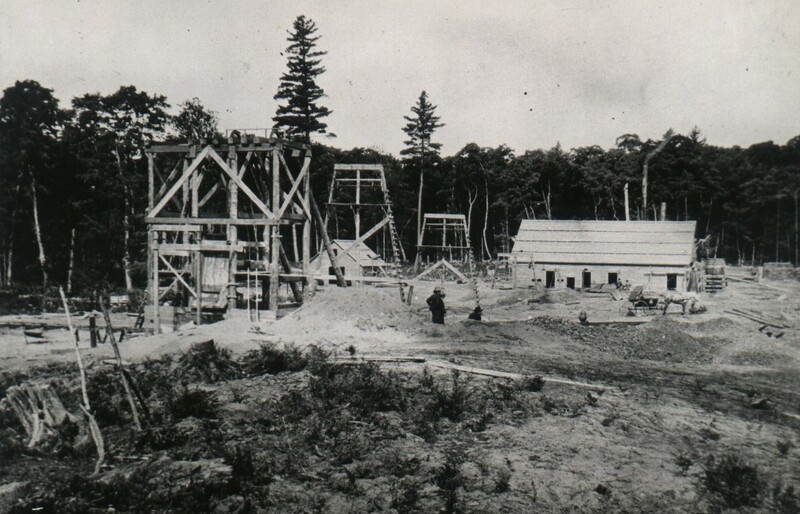 The start of the Globe mine near Houghton. 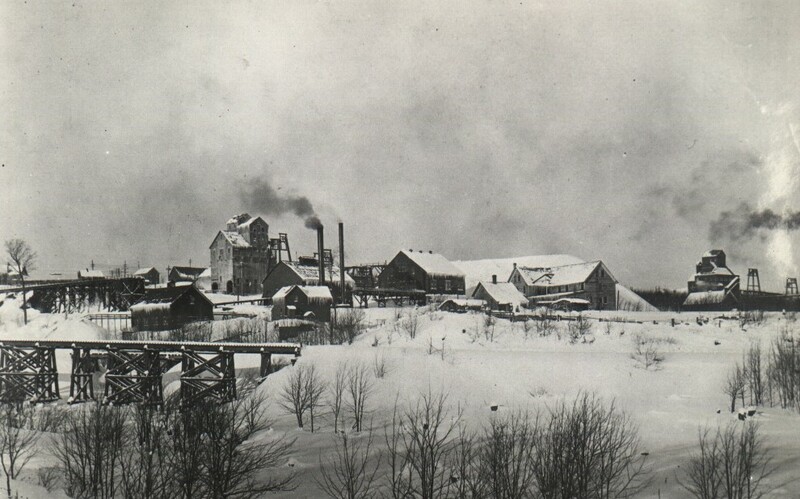 Copper Range No. 53 wreck at Trimountain. Electric tram engine pulling a load of rock. 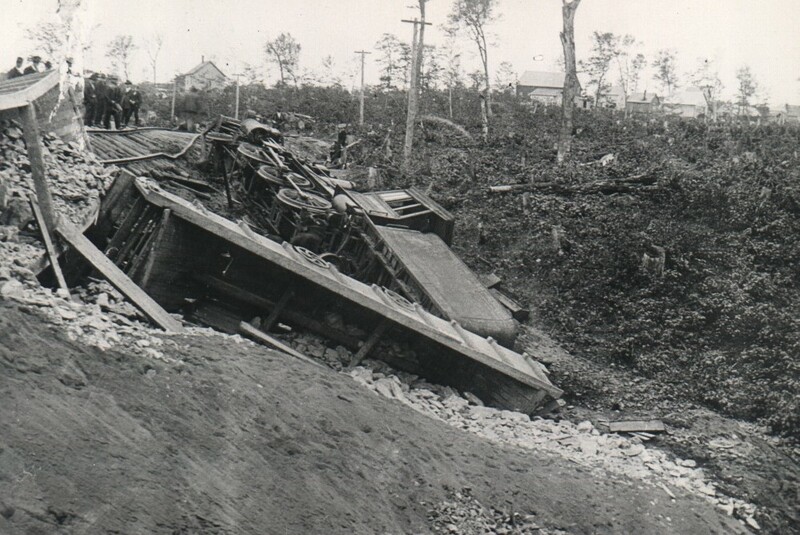 Dumping rock from a tram car into the skip, mine not identified. 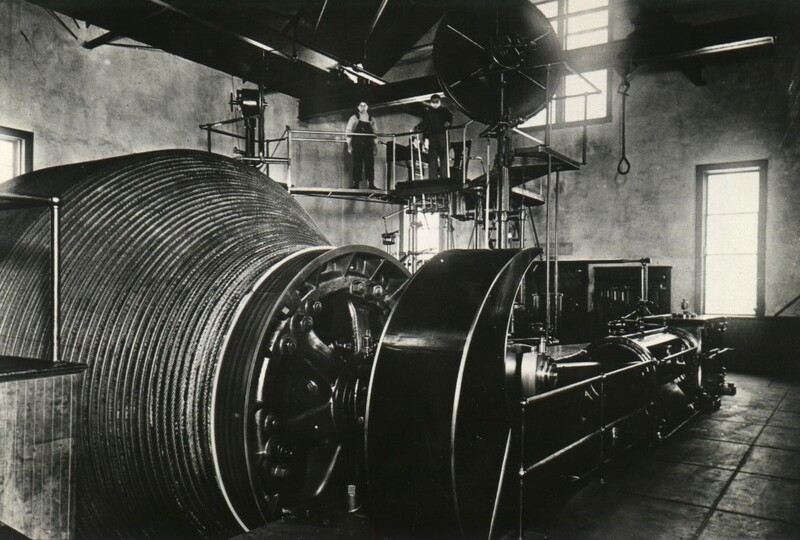 Hoisting engine showing the main coil, mine not identified. 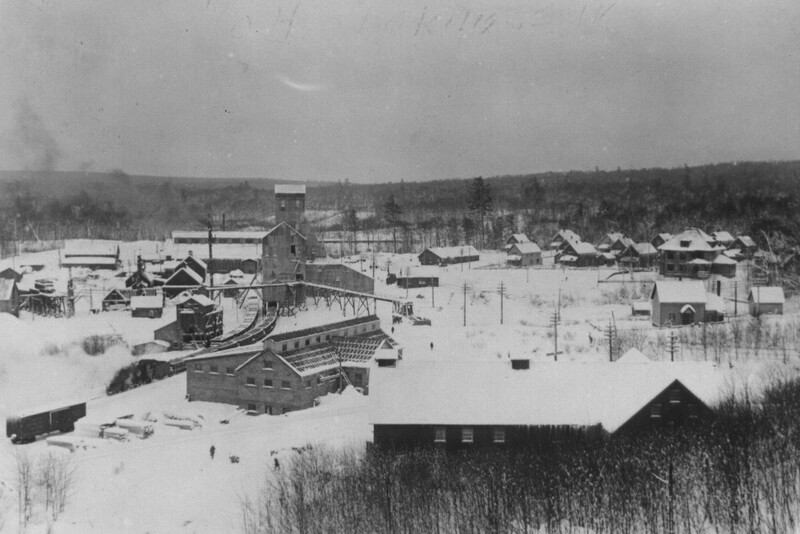 Location not identified, but I think this is another view of Trimountain. Not exactly sure what this is, perhaps the engine for an air compressor? 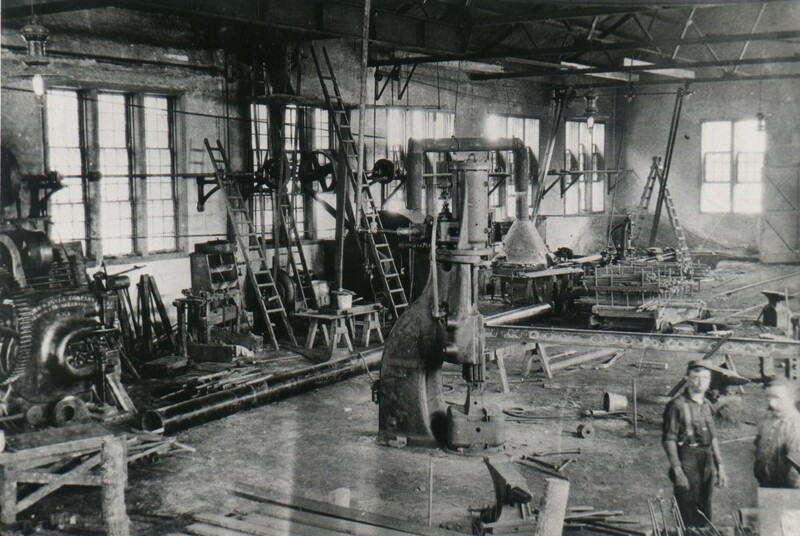 Inside one of the smelting plants. Notice the new ingots stacked on the shuttle car. 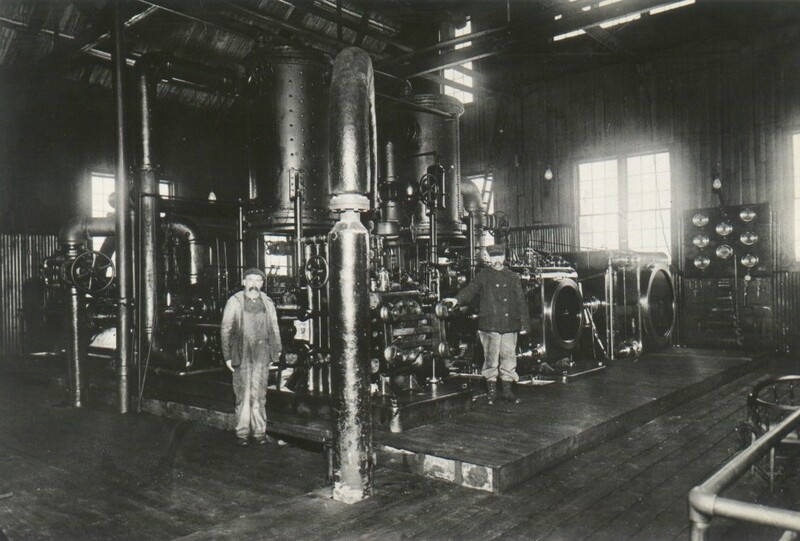 Again, I believe this is an air compressor, mine not identified. 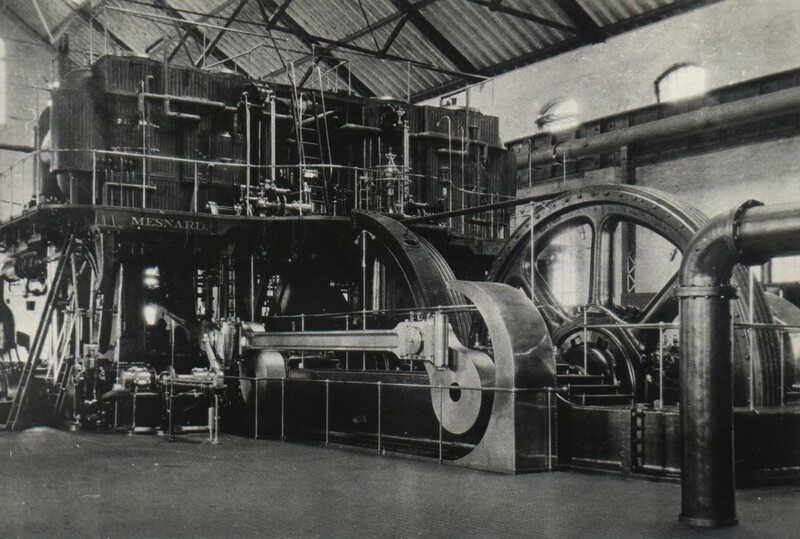 The large Mesnard engine located at C&H. 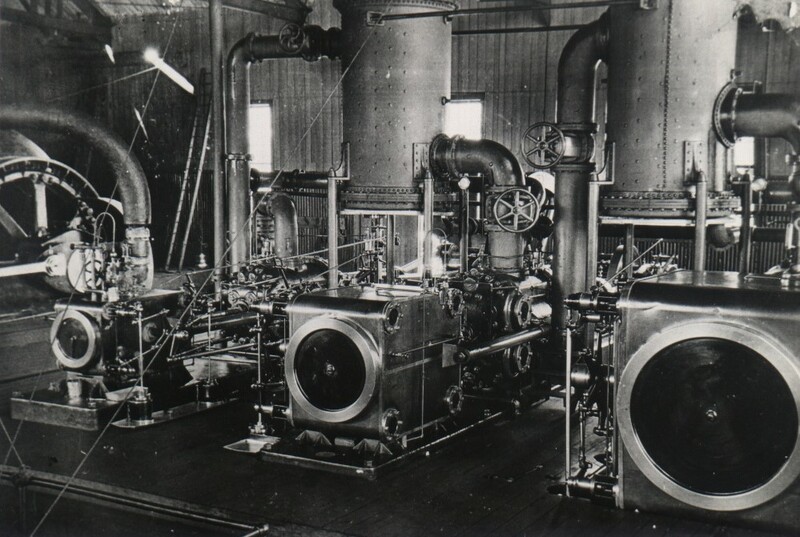 Calumet & Hecla named every one of their large engines. 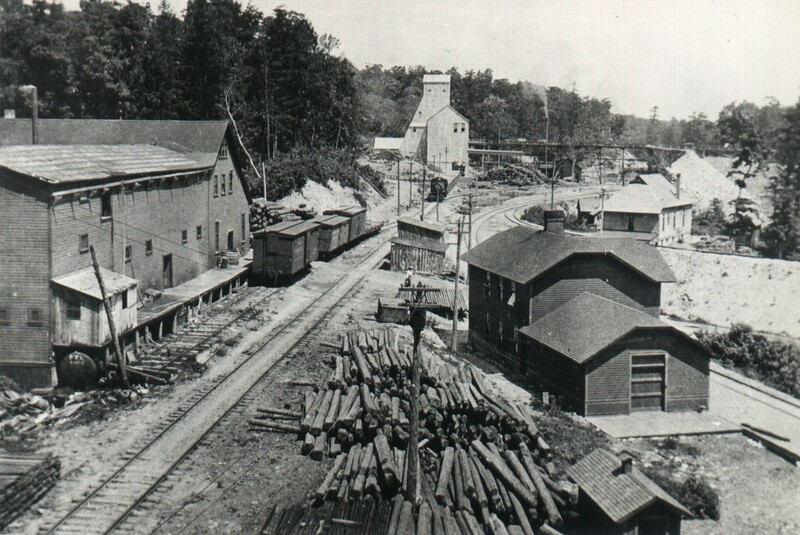 The images above for the Copper Range Railroad and post office below are not identified, so any help would be appreciated. 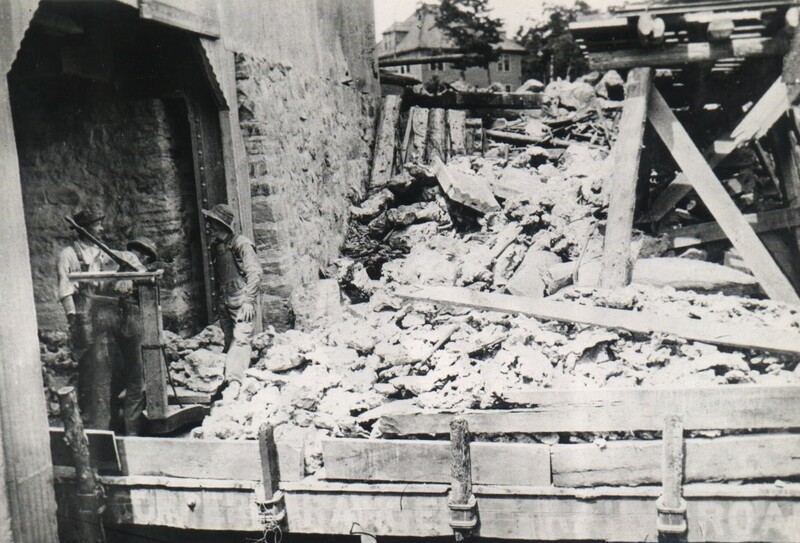 Finally, the image below is from the Quincy I think, showing the cozy conditions on the man car just before going underground. Some of the men appear to be hugging each other, to get packed tighter for the long trip down. 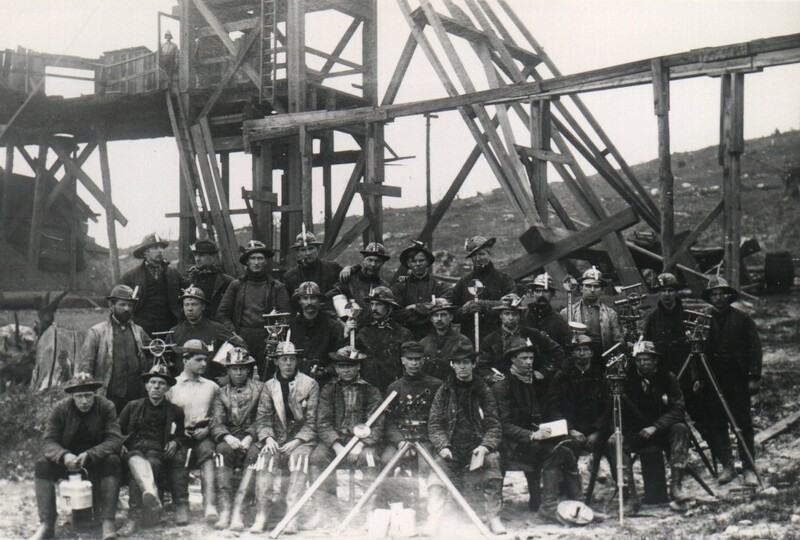 Notice the oil lamps on the men's helmets.